It's been a long, hard winter in Minnesota, and this couple, celebrating their 10th wedding anniversary headed south on a cruise of the western Caribbean, including the Cayman Islands. 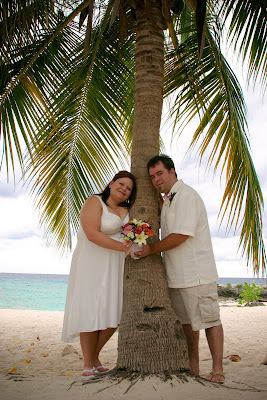 They took advantage of their day in Grand Cayman to have a wedding vow renewal ceremony at My Secret Cove. It was quite early in the morning, and we had the Cove to ourselves. 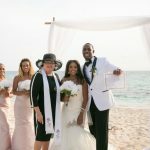 It gave them the opportunity to have lots of pictures in different parts of this most popular beach for a Cayman cruise wedding. What's a Caribbean beach without a palm tree or two? 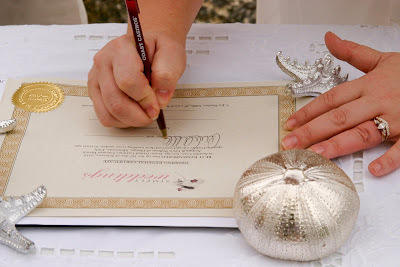 Our Cayman Vow Renewal package includes this decorative certificate, and a signing table with linens and shells. Our standard vow renewal package includes a bottle of champagne served on the beach. My Secret Cove offers so many opportunities for great photographs like this one. "For as long as we both shall live". 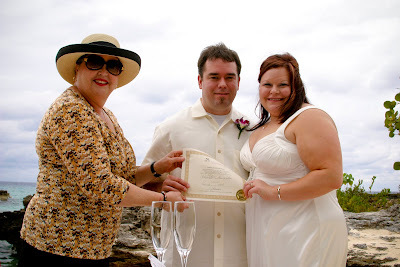 Your vow renewal ceremony should be as special as your love. 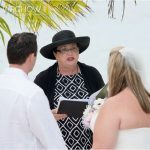 We specialise in simple, elegant, personalised ceremonies which reflect who you are as a couple. 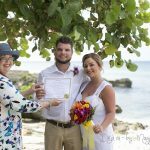 This couple chose to use one of the "Hands" ceremonies, and added their son's name. 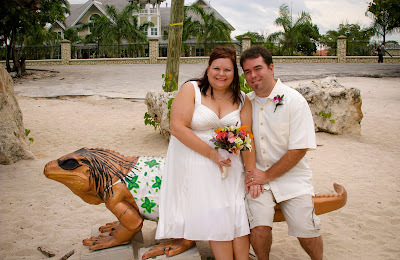 This Iguana picture is dedicated to this couple's little boy. Some couples choose to duplicate their wedding flowers, in a simpler version. 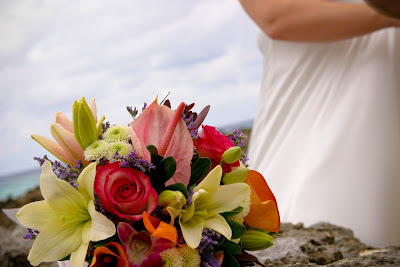 This couple chose a more tropical bouquet which included lilies, anthuriums, buttons, mango calla lilies and roses. Ask us about your own special order flowers. Couples chose wedding vow renewals for many reasons. 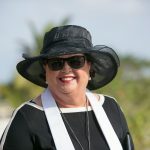 It is not always to celebrate a big anniversary, but can be a way of recommitting yourselves after surmounting a challenge to your relationship, or to add sometime even more special to a second honeymoon or cruise vacation. Add an affordable photo package like this one, which includes a CD with all pictures, and an album with 36 prints mailed to you within a few days of your ceremony. These photos by Mari Abe of Island Photo.